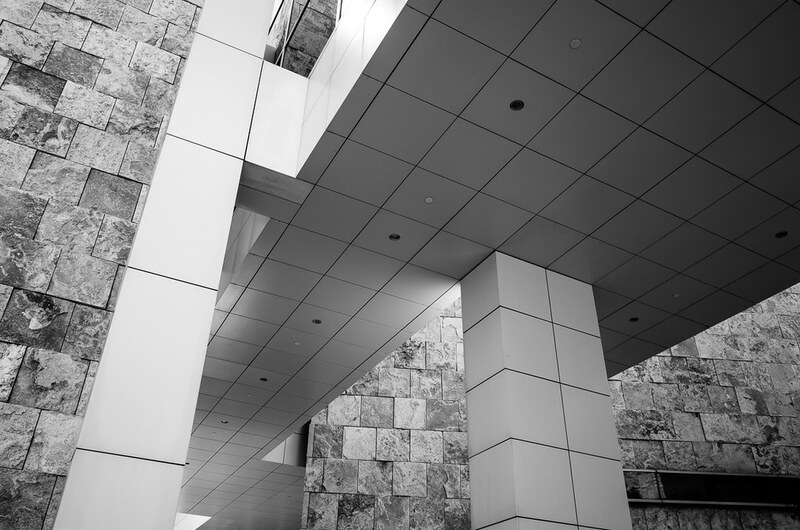 The Getty Center, Los Angeles, California. I’ve been visiting the Getty Center for sixteen years on visits to my recently passed mother. I’ve taken hundreds of images of the place. My wife, however, had never been there so we took some time to visit on our recent trip to LA. 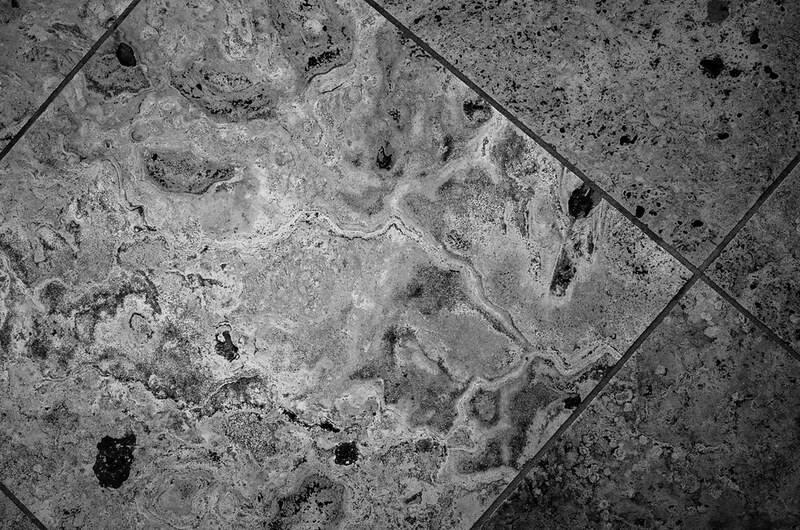 It’s tough to remember to look down at the Getty but in fact, the floors are all made out of limestone, some of which is intricately detailed with fossils and other remnants of its earlier life as sandstone in another time. One of the many things that’s great about the Getty is the juxtaposition of steel siding with stone on walls and ceilings. This alcove is one of my favorite such places. 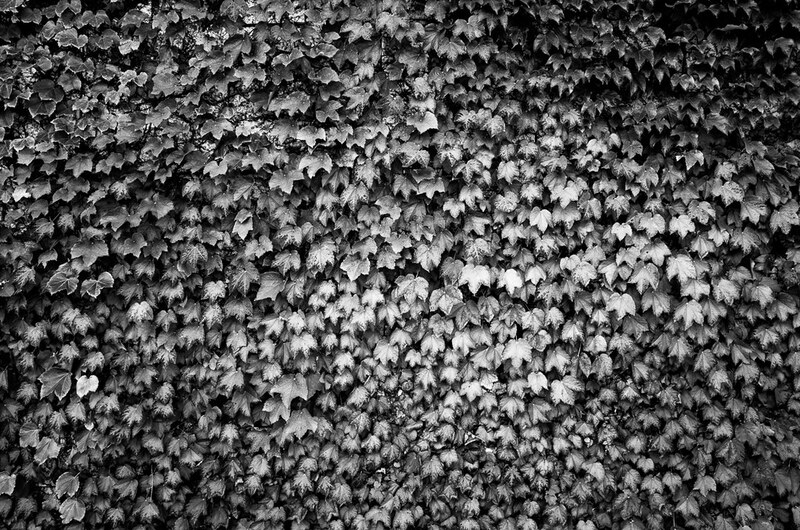 Richard Meier’s Getty architecture is quite stark so finding a wall of ivy there is almost a welcome relief. Richard, thank you very much for posting these beautiful shots which made me to think you and Frances visiting there. Very emotional for me. Jonne, thanks for acknowledging that. We were there both to show Anne what I’d been so interested in for so many years and to remember my mother who enjoyed it too. It was emotional for all of us too. Thanks Martin. If I ever get back there I’ll try to remember to look down more, these tiles are everywhere.